Available on Mutations and 6 other releases. Available on Red Hot + Rio 2. Available on Live At The World Cafe Volume Ten. 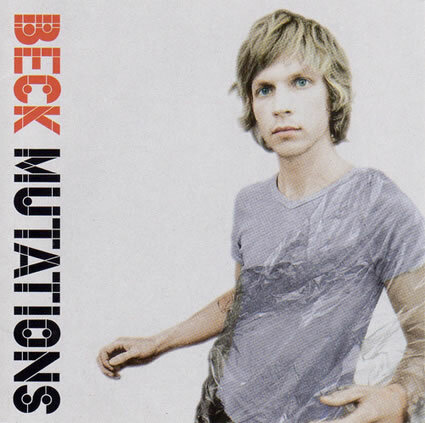 "Tropicalia" can be found on Beck's 1999 album, Mutations. Beck explained "Tropicalia"'s inspiration, "I've always loved a lot of different exotic music. I've been listening to Brazilian music since I was a kid, but I haven't really felt it was something that would come naturally until the last few years. I think for something like 'Tropicalia' I needed to go to places where that music existed in order to get to the point where I could do it myself. I wrote it in the back of the bus on tour, and then later I put lyrics to it. A lot of times I write the melody and the chords of the songs sometimes years before I ever get around it writing lyrics, so it just sits there incubating." Beck nonetheless does not play on the recording: he just sings. Clearly, this is the type of performance that had Beck thanking "the undeniable musicians who played on this record" in the album's liner notes. Smokey Hormel, the guitarist, for example, has gone on to make his own Brazilian music; it is something they surely all enjoy and it shows. There seems to be a matching of the South American bossa nova music with lyrics reflecting both the majesty and the poverty of the locale. At the front, it is an excellent portrait of a festival atmosphere, everyone dancing, in a "millenial haze." But behind all of that celebration is what Beck is really worrying and writing about, a place where "embassies lie in hideous shards" and "misery waits." Beck reminisced about the song a bit in the San Diego Union-Tribune (November 28 2002): "'Tropicalia' was a song loosely about that era of Brazilian music and culture when these musicians were under siege by the powers that be and the music was changing. I just found it an exciting time and an interesting subject matter." "Tropicalia" is one of the songs Beck always keeps returning to on stage. One of the very first performances of "Tropicalia" was on KCRW in 1998. Before it started, Beck admitted it was not really a tropicalia song, but more a bossa nova. The band improvised a wonderful jam around the song. During the coda of the tune, Beck started rapping an early incarnation of "Hollywood Freaks" while the band continued to play the music of "Tropicalia." They had already been working on Midnite Vultures at the time, and these were some of the first early public hints at it. The band found his rap amusing; you can hear some of them laughing in the background. Beck ends the song with the line "...and all the children cried on Blackberry Lane!" This is a very laidback performance, and probably my favorite version of the song ever (including the record). Of course, "Tropicalia" was a regular on the short Mutations tours of Japan and the US. The arrangement is basically identical to the record, maybe only with a bit more horns during the end. There was not really a unique stage presence to the song at this point. Not much to note about any of the versions, though the Brass Menagerie (the horn section) does highlight many of the versions (e.g. the January 10, 1999 show). "Tropicalia" began popping up halfway through the first leg of the Vultures tour, but once it did, it was played almost every night for the rest of the year. Beck's back-up singers sing the chorus with him, but otherwise it's not too much different from the Mutations tours. Sometimes Roger does some different things with his keyboards near the end of the song; and occasionally the song felt like it was a little too rocked-out, and short. The subtle beauty of the melody could be lost. But as the Vultures tours went on, the band began to jam more and more. "Tropicalia" was no exception. It also got longer and more interesting. Mainly the end jam was extended to include jazzy horn solos (May 31, 2000 is an awesome example!). One interesting version came on the most interesting show of the Vultures tour: August 22, 2000 in Amsterdam. The first half of the show was "acoustic" and the second was made of Vultures funk. "Tropicalia" showed up in the first half. Instead of horns/keyboards jamming at the end, Beck sang the part in falsetto. "Tropicalia" appeared at a few shows in 2001. The one run when it was consistently played was Beck's week of shows in Feb. 2002, right before he went in to record Sea Change. The shows were all different, from two-man bass/guitar shows to improvised band shows. The Feb. 26, 2002 version of "Tropicalia" was unique, without keyboards or horns, so it focuses nicely on Smokey's Brazilian guitar work. Beck again covers the keyboard part by singing some "ooohs." This tour saw 20 shows around the USA, and "Tropicalia" was played at 18 of them. It was a more minimal version, with just Beck singing and playing keyboards, Smokey on acoustic guitar, and Roland the Drum Machine on drum machine. Beck used the beat to ad-lib, joke around, usually telling stories about the night flight he took to Rio with Axl Rose. These versions are fun if you like the loose, informal side of Beck. Most are lengthy, and Roland was inconsistent, sometimes playing too fast (Aug 6, 2002 in Denver) or drearily slow (Aug 8, 2002 in St. Paul). Next up was the tour with the Flaming Lips, and "Tropicalia" showed up regularly, but I'm not too fond of the way they did the song together. They basically took all the tropicalia out of the song! Why do that with a song called "Tropicalia"? Now it was basically a light rock song with a nice beat, and some trippy touches (like the keyboard solo at the end). Not that I don't appreciate change, but this was more like a slight adaption than a meaningful change. They played the song at 18 of their 34 shows, but not at all during the last twelve. Beck used a band throughout the spring and summer of 2003. The version with (most of) his classic Odelay band in Australia in April had the deft Brazilian touch that the Lips version was lacking. These guys know the songs and what to do with them, for sure. Then in the summer Beck had a different band; they didn't do the song a ton (15 out of 42 gigs). But I like how they handle it. It wasn't a drastic re-interpretation in anyway, but it was full and dynamic. As always, the end of the song makes the live version: here with some great band interplay leading into some stormy feedback. These versions were very similar to the Night Flights above, but without Smokey. Beck sticks to acoustic guitar. And he does not go off on tales quite so lengthy as he did in August 2002, though he usually ends up talking about Roland, his drum machine. These versions are nice enough, but I find Roland brings them down a bit. The mechanical beat of a drum machine is a little at odds with the natural grooves of Brazil. Beck has done "Tropicalia" sporadically throughout 2005. On the Europe tour in May and June, he only played it three times. I�do not know what those versions were like. Then in the summer, he didn't touch the song at all. Then in the fall, he played it five times, and I believe each of those five were solo acoustic versions. Just Beck and his acoustic guitar. It was one of the highlights of the show I attended. Perhaps, this is how the song was meant to be. Beck continued with "Tropicalia" on a somewhat sporadic basis in 2006, always paired with "Lost Cause" in a quieter moment in the middle of longer non-festival sets. Beck did "Tropicalia" just two times on these pre-Morning Phase, get back out on the road after a long break, tours of 2012-2013. The first in 2012 was after running into a small boy at a diner who passed Beck a note asking him to play "Tropicalia" at the show that night. Then in 2013, Beck did the song while performing in, of course, Brazil. Beck also performed "Tropicalia" one time in 2014, at the request of a girl in Paris. It was done fully, with a band though. It began as a two-man performance, Beck and Smokey on acoustic guitars, but slowly piano, synth and percussion were added. Actually sounded quite terrific, and intimate, and I am surprised they didn't continue to play the song after that.